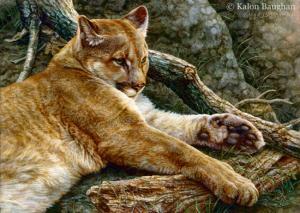 "On the Alert - Rocky Mountain Elk"
"Portrait of a Gray Wolf"
Kalon Baughan currently resides in the deep woods of Montana where he works as a professional wildlife painter. Baughan received his bachelor of fine arts degree in 1988 from Albion College, where he graduated with honors and earned the Outstanding Artist Award. He has painted professionally since then, returning to Albion College as their Artist in Residence from 1992 through 1994. 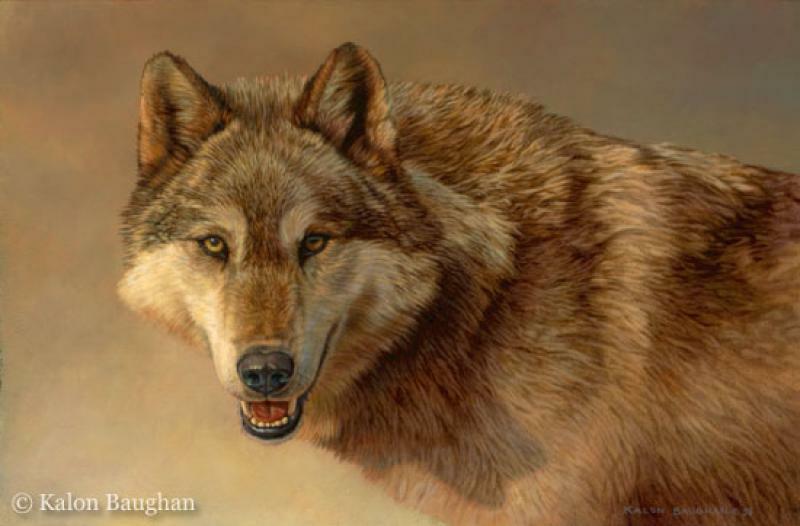 Baughan has also served as an instructor for artists at several art symposiums across the country, including the Acadia Symposium and Wolf Prairie Wildlife Art Symposium and seminars at the University of Tulsa and the Northern Wildlife Art Expo.